Born in England. Tony played his Rugby at St. Mary’s Puddletown, Puddletown RFC, Exeter RFC and County rugby at all levels with Dorset and Wiltshire including English schoolboy trials . Tony came to Trinity in 1998 following three years as Senior Coach at Blackrock College RFC. Previously Tony lived and coached in Seattle, USA for ten years. While in the USA, Tony founded the USA U19s program in 1992 whom he coached on 8 tours to New Zealand /Australia. He also took the USA U19s to their first ever FIRA U19s championships back in 1998 in Toulouse, the same competition that Ireland won with Brian O’Driscoll. That same year he stepped in at the last minute and coached the Irish Women’s XV in the Women’s World Cup in Amsterdam. In 2010 Tony coached Leinster U19s to an undefeated inter-provincial championship. He has also coached Irish Universities on several occasions over the past 15 years. Attack coach – coaching in 13 test matches including narrow loss to Ireland in Houston Texas 15-12. He had another season with the Senior Eagles in 2006 coaching six games. Tony has coached at Willow Park School and Blackrock College School for over 20 years. He is an IRFU Level 3, stage 5 IRB qualified coach, the highest coaching qualification an Irish coach can achieve. He has been married to Catherine for over ten years, and they have a daughter Eabha . 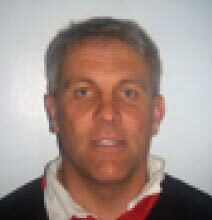 Hugh has been Forwards Coach at Trinity for many years. Previously he coached and played for St. Mary’s RFC where he coached many Irish Internationals including Denis Hickie, Victor Costello and Trevor Brennan among others. He was a level 4 coach in the old Irish coaching system. While a student at UCG (NUIG) Hugh played for Irish Universities on their tour to New Zealand in 1978. He played his representative rugby for Connacht and was capped for Ireland A.
Hugh’s ‘day job’ was Principal at Willow Park School where he taught for over 30 years. He was heavily involved in the Rugby in that school during that period. He is married to Geraldine and has two children in David and Rachel. Born in North Canterbury, New Zealand, Gareth came to the club in 2011. He will be taking over the defence coaching of the First XV this year, having spent the summer learning from teams from both rugby codes in his native country. Gareth’s daytime job is as a P.E. Teacher in Blackrock College where he is also backs coach for the SCT. Before this he was a Housemaster and Teacher at Clongowes Wood College, also coaching their Junior Cup side. Gareth has previously been backs coach for the Leinster U20’s. Gareth’s playing days were cut short by a back injury whilst playing for the Douglas Rugby Club on the Isle of Mann in 1999 and he has been coaching ever since. Ross Hamilton is an ex Trinity player and student. He played U20’s for Trinity before committing to an Olympic campaign in sailing. He is a former international sailor having competed on the ISAF World Cup Tour for five years and campaigned for both London 2012 and Rio 2016 Olympics. He has just completed an MSc in Exercise Physiology focusing on recovery and sports performance. 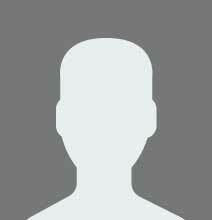 Has a particular interest in human performance and physical development. Ian played in the front-row for DUFC for several seasons. He moved on to Clontarf, where he won an All Ireland League title. He was awarded a Leinster contract for the 2015/16 season. He has worked with the Samoan rugby team, Dublin GAA, Trinity College Rowing as well as being an in house strength and conditioning coach in DUFC. He also works closely with the front-rowers in the club on their scrummaging. Ian is currently doing an MSc in Strength and Conditioning in St. Mary’s Twickenham. Jonny hails from Mullingar RFC. Following eight years of success at youth rugby, he joined the Trinity senior rugby set up in September 2016 guiding the Second XV to the Metropolitan 2 League. Jonny has also taken on the kicking coach role, as well as the managerial role, for the First XV. Outside of Trinity, he is a full time employee of Leinster, and also still playing his trade as a player/coach in Mullingar RFC.